While more than a dozen standout stars of this year's award season took their place on Vanity Fair's newly released Hollywood Issue cover, there was one major nominee missing. 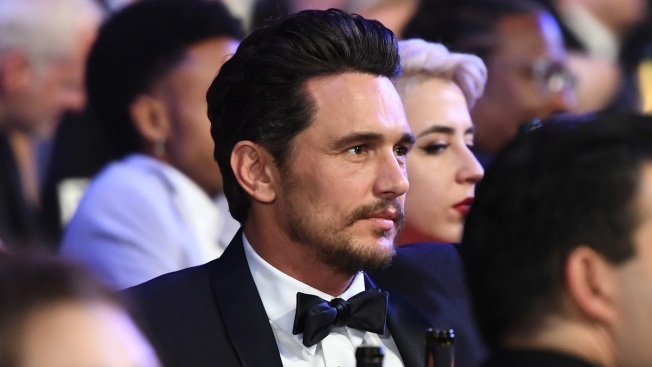 James Franco, a Golden Globe winner and SAG Award nominee for this year's "The Disaster Artist", was not pictured among the throng of performers, including Oprah Winfrey, Gal Gadot, Reese Witherspoon and Robert De Niro. Without Franco in the frame, suspicions were raised over whether it was a purposeful move given five women came forward with sexual misconduct allegations against Franco in a recent Los Angeles Times report this month. According to The Hollywood Reporter, Franco had posed for the shoot and given an interview for the piece. Per the report, the stars are photographed in smaller groups and then digitally merged for the full image. As Editor Jane Sarkin confirmed to E! News, they held shoots in both Los Angeles and New York to accommodate the group. However, when the final cover debuted on Thursday, Franco's face was not there. As THR reported, he was "removed from the cover digitally." A spokesperson told The Hollywood Reporter, "We made a decision not to include James Franco on the Hollywood cover once we learned of the misconduct allegations against him." Franco's attorney Michael Plonsker denied the women's allegations to the newspaper. Meanwhile, prior to the Los Angeles Times' report, Franco addressed claims against him that had surfaced on social media, calling them "not accurate." "In my life I pride myself on taking responsibility for things that I've done. I have to do that to maintain my wellbeing," he told Stephen Colbert on The Late Show. "I do it whenever I know that there's something wrong or needs to be changed, and I make it a point to do it. The things that I heard that were on Twitter are not accurate, but I completely support people coming out and being able to have a voice because they didn't have a voice for so long. So, I don't want to shut them down in anyway. It's, I think, a good thing, and I support it." The cover shoot has been in the spotlight for several reasons since it came out a day ago, including a photoshop gaffe involving Oprah Winfrey and her hand.